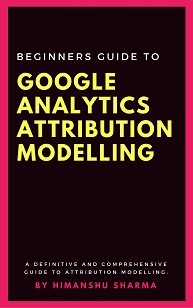 What is Google Analytics Individual Qualification (GAIQ) Exam? FAQ: Does GAIQ certification help me in getting a job as a Web Analyst? 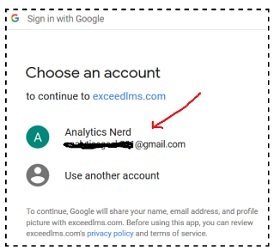 Does it make me a Google Analytics Expert? Google Analytics Individual Qualification (or Google Analytics IQ or GAIQ) is an exam conducted by Google to test your knowledge of Digital Analytics and Google Analytics platform. 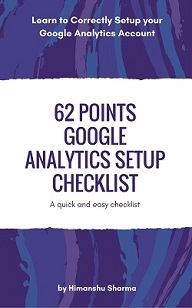 Once you pass this exam, you get a certificate from Google through which you can demonstrate your proficiency in Google Analytics to your client / employer. This certificate is valid for 12 months from the date you passed this exam. You need to retake this exam after every 12 months to keep the certificate valid. There is no fees to take this exam. 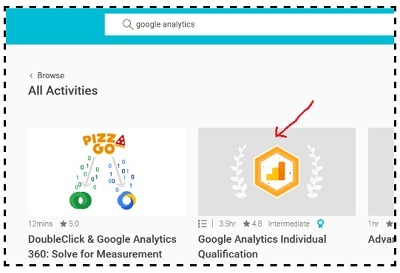 You can get the GAIQ certification through Google Academy for ads https://landing.google.com/academyforads/. You can even print your certification in your Academy for Ads Profile. When you pass the Google Analytics IQ assessment, you get a personalized certificate issued by Google. But you still can not use Google Partners badge. In order to qualify for Google partners badge there are certain requirements which you must meet before you become eligible to get a personalized badge from Google. Meet performance requirement in terms of overall ad revenue and customer base. So if you see someone using a Google partner badge on a website which is not clickable then there is a high possibility that the badge has been used fraudulently. #2 Having a GAIQ certification does not by itself qualify you or your business to become a Google Marketing Platform Certified. To become a Google Marketing Platform Certified, you would need to meet several other requirements which are listed here. Note: Creating or displaying a GAIQ badge on your website is against Google trademark policies and may result in your GAIQ certification being revoked. #5 Once you pass the GAIQ exam, you can share your certificate with others via Google Partners public profile page. On the other hand once you qualify for Google Marketing Platform Certification, you get your own listing in the Google Marketing Platform gallery. Note: GAIQ exam is available in several foreign languages in addition to English. Google Marketing platform sales partners are Google Marketing Platform certified companies which work more closely with Google to help sell their products. 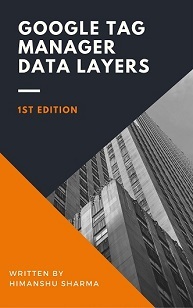 How to set up data filters. 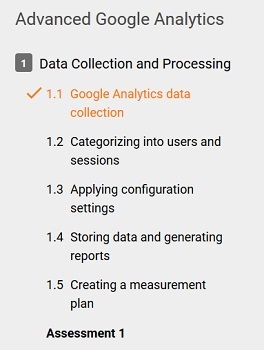 How Google Analytics Collect and process data. 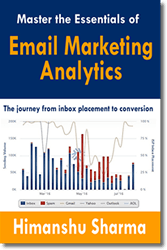 Brief Overview of Segmentation, Remarketing and Dynamic Remarketing. Each course is made up of several units. Each unit covers one or more topics. Watch every video, take notes and complete various assessments. It is important that you go through the additional resources and take notes. Even if you have already passed GAIQ test several times before, it is important that you go through the study material and familiarize yourself with any new topic. You will almost always find something new added to the course material. Watch videos but don’t waste time taking notes from them. Instead use the ‘Text Transcript’ at the bottom of each video to take notes. This is because majority of these video tutorials rush through the study material and you will have a hard time taking notes from them directly. In just 2 to 3 hours you can complete these two courses. The two course recommended by Google are not enough to prepare you for GAIQ. You need lot more preparation then that. 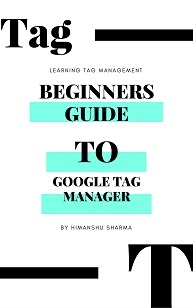 You are likely to get few high level questions on Google Tag Manager. So be prepared for that. 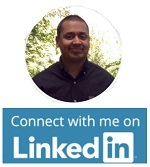 #4 Join the Google Analytics Solutions Community and ask your questions there. #5 Practice what you learn. Practical knowledge is very important in order to pass this test. 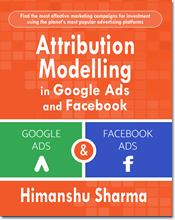 Majority of questions you get in your exam are based on your understanding of the Google Analytics topics and this understanding can be developed only through practicals. #1 GAIQ exam consist of 70 questions which you need to complete within 90 minutes. That means you have slightly less than 1 and ½ minute to answer each question. #2 Passing Score for this exam is 80%. What that means you need to correctly answer at least 56 questions. #3 You can retake this exam as many times as you wish. But you need to wait for one day before you can retake this test. However you may never know which answers were incorrect and what are the correct answers. So even if you retake the exam just to improve your score, it won’t make much difference, as you can make the same mistake twice. #4 The exam comprises of multiple choice and true and false questions and many of them are of ‘check all that apply’ type. #5 You cannot pause the test. Once you start the test, the exam timer will continue to run until 90 minutes have elapsed or you choose to finish the test. If in the middle of the test, you close your web browser or your computer shut down, the timer will immediately expire. You will then have to wait for one day before taking the assessment again. #6 You cannot mark questions and revisit them later during the test. #7 Over the last couple of years, Google has moved away a lot from the factual straightforward questions to logical reasoning based questions. So if you think you can read the question, quickly search the internet and get the answer, then my friend it is not going to work. You may be able to answer few questions with this tactic but it is highly unlikely that you will pass the test which is full of logical reasoning based questions. If you wish to pass this test, then you must develop a good practical understanding of various reports, metrics and features of Google Analytics. For example, just knowing the basic facts about filters through the course material is not enough. You must have practical knowledge of implementing filters. Google is unlikely to ask you questions like ‘what is a filter’ or ‘what are the different types of filters’. It is more likely to ask you, which of the following filter is the best solution to solve the problem or whether a particular filter is correct? To answer such questions, not only you must have good knowledge of regular expressions but you must also know how filters are actually created and processed and which filter type is the best solution for a particular problem. #8 Google does not ask all of the questions from the prescribed syllabus. #9 Google does not charge any fees to take this exam. It is available for free. 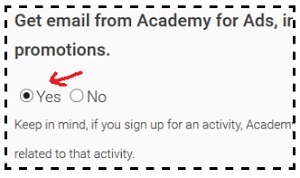 #1 Before you can sign up for Google Academy for ads account, you need to have an email address which is either GMAIL address or the email associated with your Google Account. 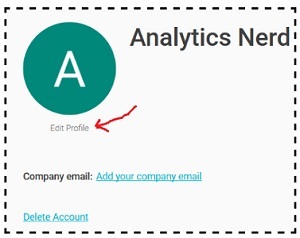 Use the email address which you usually use, to access Google Analytics and Google Adwords. #5 Read and accept the terms of service agreement by clicking on the ‘Submit’ button. If you selected ‘No’ then any certification you get, will not be associated with your company. Then you won’t be able to share your certifications and achievements with others. Since GAIQ exam is available in 19 foreign languages, you can select the language you are most comfortable with. #11 Scroll down the page and then enter your recovery email. #12 Click on the ‘Save’ button. Note: Before you start the test, read the instructions carefully. Make sure you answer all the questions and do not spend more than 1 and 1/2 minute on any question. Remember the clock is ticking and you have got 70 questions to answer. Q1. You notice that the Goal conversion rate in your site search terms report is different from the Goals menu report, what is the likely reason for this discrepancy? b. Not all visits include a site search, only those which did are included in the conversion rate calculation in the site search terms report. c. The site search terms report is only able to show goal conversion rates for one of our goals. Q2. You manage a website that sells household appliances. Your website assigns the product id 17 (pid=17) to all pages related to refrigerators. You would like to have a view where your data includes only pages on your site related to refrigerators. Which of the following would accomplish this? Q3. Why might your reports show sessions coming from a paused or discontinued campaign? a. Because users originally referred by that campaign are now returning via another Adwords campaign. c. Because users originally referred by that campaign are now returning via organic search. d. Because users originally referred by that campaign will always be reported as coming from that campaign. Q4. Does Google Analytics track sessions to cached pages? Q6. 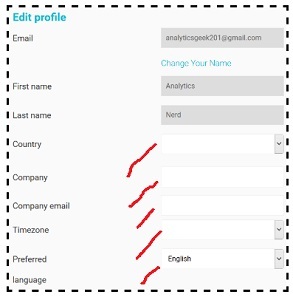 Assigning a value to a Google Analytics Goal allows you to do which of the following? Q7. Smart Goals are created automatically by Google’s machine-learning algorithms. Q8. Auto-tagging is used to collect data from which kinds of traffic? Q9. Which report indicates the pages of your website where users first arrived? Q10. Which filter would you apply if you only wanted to include data from a campaign titled “Back to School” in Campaign reports? Q11. By default, which of these is NOT considered a “medium” in Google Analytics? Q12. When will the Analytics tracking code send an event hit to Google Analytics? Q13. By default, which of these traffic source dimensions does Google Analytics capture for each user that visits your website? Q14. What is required for User ID to track users across different devices? Q15. Sharing a Custom Report will share the data in that report. Q16. Which kinds of hits does Google Analytics track? Q17. Which campaign parameter is NOT standard in Google Analytics ? Q18. Which of these is NOT possible when you link your AdWords account to Google Analytics? Q20. Which of these is NOT a benefit of Remarketing in Google Analytics? Q21. Which of these is a scope for Custom Metrics? Q22. By default, when does an Analytics session expire? Q23. Which of the following statements about segments is incorrect? Q24. Which view filter(s) would you apply if you wanted to include only users from Brazil or Argentina? Q25. To collect how many times users downloaded a product catalog, what would you set up ? I deliberately did not answer these questions in order to maintain the integrity of the GAIQ exam. Otherwise many people will search for the answer to these questions during their exam and cheat. And what is the point of cheating and getting the certification? In the end, you are only fooling yourself and no one else. 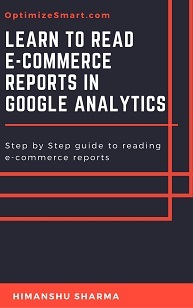 A common misconception among marketers and analyst is that passing the GAIQ exam make them a Google Analytics Expert. GAIQ certification only means that you are aware of some Google Analytics terms and technology and can use the user interface. It does not itself guarantee you a job or give you the title of an ‘expert’. Through GAIQ you develop the most baseline proficiency in Google Analytics which won’t help you much in the real world. No decent company will hire you just on the basis of GAIQ certification. 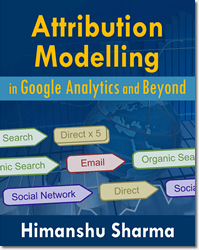 You need to have real world knowledge and experience in Google Analytics. 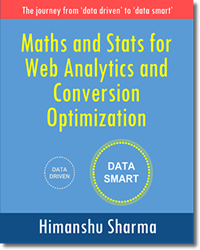 If you wish to learn Google Analytics in much more detail then check out my course on Web Analytics. It is the most exhaustive course on Google Analytics on the internet.